Make yourself at home in one of the 40 air-conditioned rooms featuring refrigerators and minibars. Rooms have private balconies. 29-inch LCD televisions are provided, with satellite programming available. Bathrooms have rainfall showerheads and complimentary toiletries. Grab a bite to eat at PAGUER, a poolside restaurant, or stay in and take advantage of the room service (during limited hours). Buffet breakfasts are available daily from 7:30 AM to 10:30 AM for a fee. 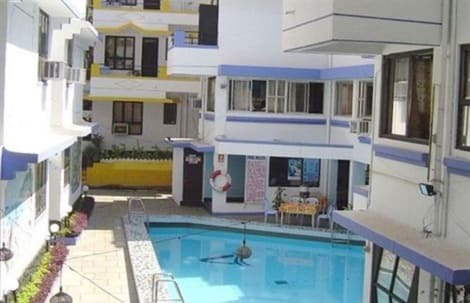 When you stay at Mayflower Beach Resort in Baga, you'll be connected to a shopping center, a 2-minute drive from Baga Beach and 6 minutes from Calangute Beach. 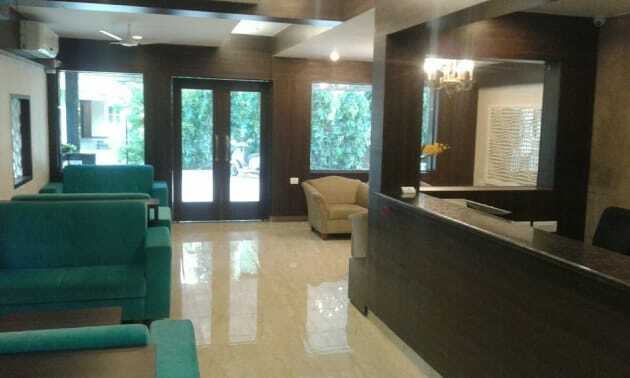 This hotel is 2.9 mi (4.6 km) from Candolim Beach and 4.4 mi (7 km) from Anjuna Beach. This resort is centrally located in the busy resort area of Calangute and is great for exploring all the local area attractions, restaurants and bars. It lies 12 km from Panjim and 14 km from Tivim railway station. Goa Airport is 45 km away. This club resort comprises a total of 89 bright rooms and provides a comfortable and friendly base for guests. Facilities on offer to guests include a lobby area with a 24-hour reception, a hotel safe, a currency exchange facility, a cloakroom and a bar. It also offers a restaurant, room and laundry services (both for an additional fee) and parking for those arriving by car. The resort rooms are fabulously decorated with lots of natural light pouring in. They come with a private bathroom with a shower, as well as cable TV, a double bed, a telephone, a cupboard, a dressing table and a luggage rack. The rooms also feature either a balcony or a terrace. The hotel features an outdoor swimming pool with a poolside snackbar (charges apply). The resort offers a restaurant serving Indian, Chinese and local Goan fare. Enjoy Indian cuisine at Tanya, one of the resort's 2 restaurants, or stay in and take advantage of the room service (during limited hours). Relax with your favorite drink at the beach bar or the poolside bar. A complimentary buffet breakfast is served daily from 7:30 AM to 10:30 AM.